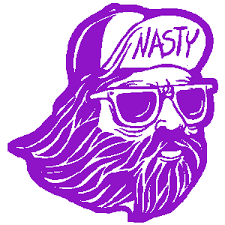 Nasty Juice – The Most Badass E Juice Worldwide.. 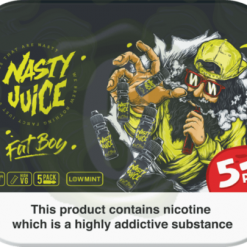 Nasty Juice are a Malaysian e-liquid company that has reached worldwide fame with their range of exotic and fruity juice flavoured e-liquids. 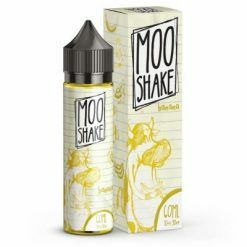 Each bottle is packaged uniquely in tinware, with the larger bottles coming in either genuine Chubby Gorilla bottles or aluminium dripper bottles to keep your e-liquid in top condition. 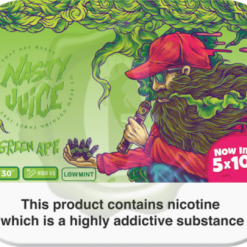 The company started out in July 2015 and released their first official range of e-liquids in December 2015. 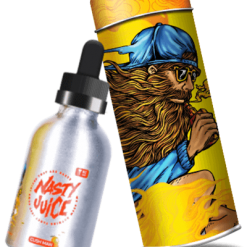 In April 2016 Nasty Juice entered the UK market and very soon became a household name amongst vapers in the UK. 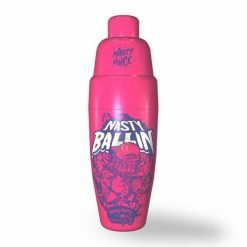 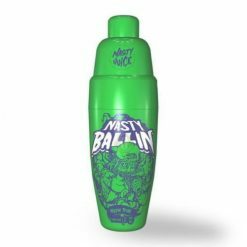 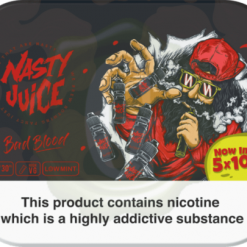 By the end of 2016 Nasty Juice launched its products to the European market starting with Germany. 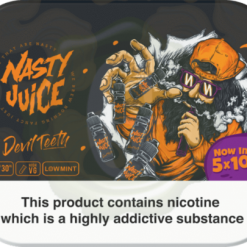 In April 2017 Nasty Juice had successfully launched its TPD compliant e-liquids and was sold in 10ml bottles, making us fully compliant throughout Europe. 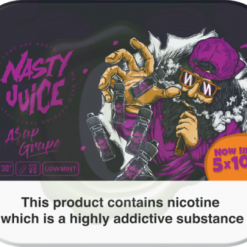 Nasty Juice e-liquids are some of the most popular to have hit the market in recent years and are highly sought after all over Europe, winning multiple awards to prove it.